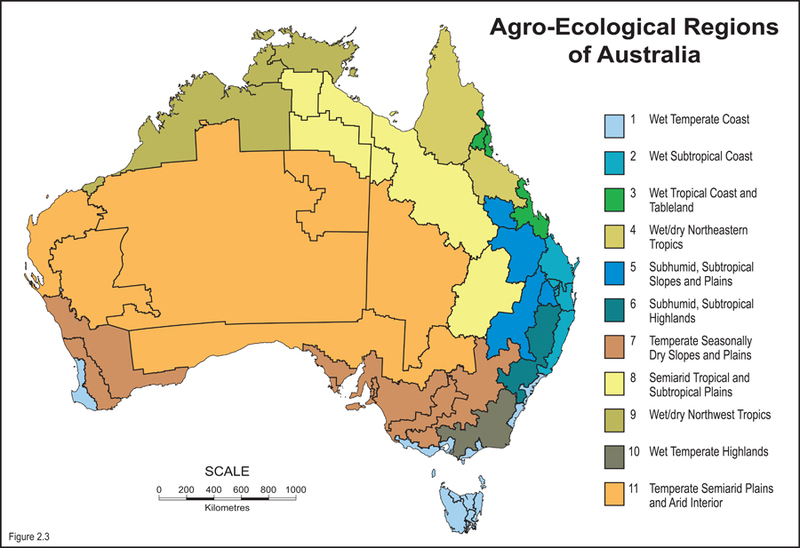 Australia’s honey industry currently does not have an independent basis for verifying the authenticity of honey, both in terms of its geographic origin, and its botanical origin. 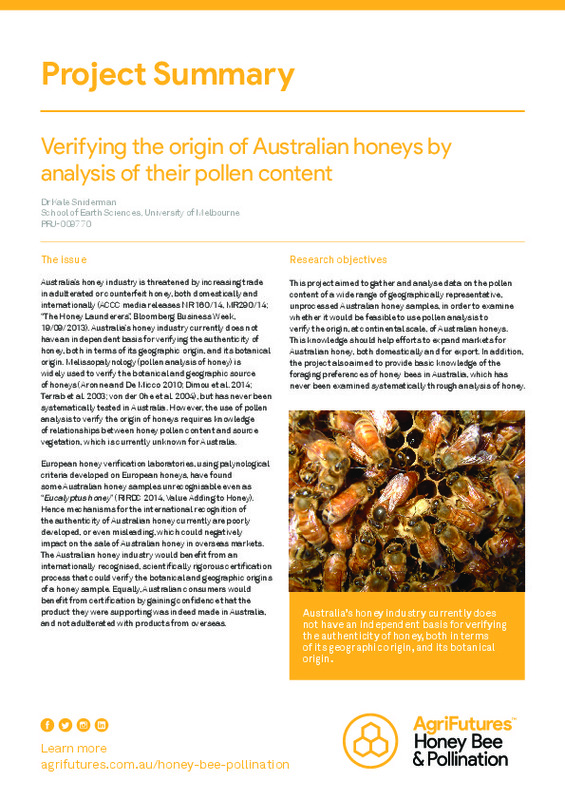 This project aimed to gather and analyse data on the pollen content of a wide range of geographically representative, unprocessed Australian honey samples, in order to examine whether it would be feasible to use pollen analysis to verify the origin, at continental scale, of Australian honeys. This knowledge should help efforts to expand markets for Australian honey, both domestically and for export. In addition, the project also aimed to provide basic knowledge of the foraging preferences of honey bees in Australia, which has never been examined systematically through analysis of honey.